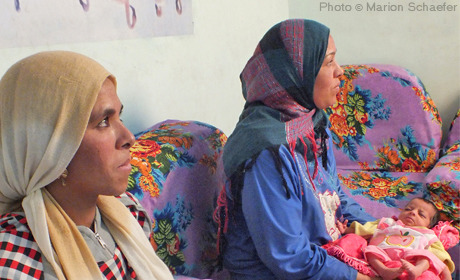 Through effective policies and programmes, Egypt has made important progress in ensuring widespread access to reproductive health services and reducing maternal deaths. Challenges remain, such as stagnating contraceptive prevalence, female genital mutilation/cutting, and maternal mortality rates. Since 1972, UNFPA has helped the national family planning and population programme overcome initial opposition and become a success. Today, UNFPA supports continued improvements, advocating for integrating reproductive care in primary health services, with full respect for reproductive rights. Programmes also focus on improving maternal health and reducing gender-based violence.